Situated centrally, near bus & taxi routes, 6 kilometers south from the centre of Johannesburg City. A no.46 or 45 bus taken from Jo’burg city centre, will drop you within one block from us. 2) Take the left fork onto the M2 East. Continue for approx. 3 kilometers till Mooi St. off-ramp & exit. 3) At the end of the off ramp, turn right (Wemmerpan Road) You are now going towards Rosettenville. 4) Continue straight on this road. (caution… this is a lovely road… if you have a fast car you may be tempted to try and kill yourself!!) After approx. 3 kilometers you will find the 1st traffic light. ●Continue straight, where-after the road will curve to the left. After the curve you will cross the 2nd traffic light. ●Continue on, where-after the road will curve to the right . Continue on till the next traffic light. This is North Street. 6) At the next street (Samuel) turn right and continue, crossing the traffic light. (Please note that after the traffic light, Samuel changes into 3rd Avenue.) Continue straight for about 1 kilometer until Southern Klipriviersberg Road. (Christo’s Café). 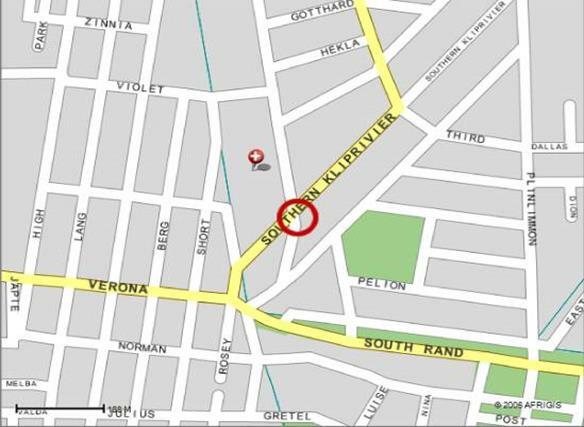 7) Turn right into Southern-Klipriviersberg Street, and continue till the end of the block. Look for No 16, on the left side of the road. 1) Take the N1 North . After it passes underneath the Golden Highway, take the left split onto the M1/N12. 2) Continue on the N12 Witbank Road. After you pass Southgate Shopping Centre on your right, count 3 highway off-ramps (the 1st is Kliprivier, the 2nd is Xavuer.) The 3rd off-ramp is Camaro Street. Exit here. 3) At the end of the off-ramp, turn left into Camaro. 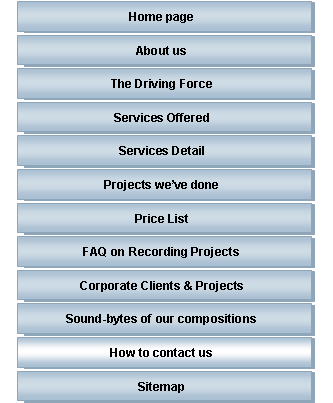 4) Continue for approx. 3 kilometers, till the T-junction & Caltex Garage, then turn right and immediately left, into Lang Street. 5) Continue for approx. 5 streets till a traffic light. This is Verona Street. 6) Turn right into Verona Street & continue for 4 streets, until Rosey Street. 7) Turn left into Rosey Street, and immediately right into Southern-Klipriviersberg Street. Look for No 16, which is on the right side, 1 block down. 2) At the first opportunity, enter onto the N1 South. 4) Take the N12 Witbank to the left. 5) Continue on the N12 Witbank Road. After you pass Southgate Shopping Centre on your right, count 3 highway off-ramps (the 1st is Kliprivier, the 2nd is Xavuer.) The 3rd off-ramp is Camaro Street. Exit here. 6) At the end of the off-ramp, turn left into Camaro. 7) Continue for approx. 3 kilometers, till the T-junction & Caltex Garage, then turn right and immediately left, into Lang Street. 8) Continue for approx. 5 streets till a traffic light. This is Verona Street. 9) Turn right into Verona Street & continue for 4 streets, until Rosey Street. 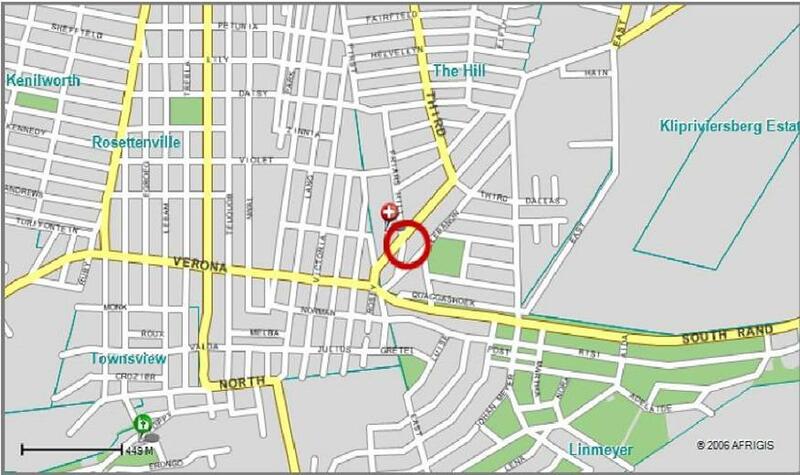 10) Turn left into Rosey Street, and immediately right into Southern-Klipriviersberg Street. Look for No 16, which is on the right side, 1 block down. 2) Take the Camaro Street off-ramp . 3) At the end of the off-ramp, turn right into Camaro. 1) Should you get lost while on the way, just call 011-435-9940 or 083-468-5057 and we’ll direct you. The Hill (where we’re situated) is a suburb situated in the south of Johannesburg, next to Rosettenville. Opposite the South Rand Hospital.